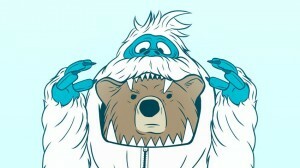 You are here: Home / Yetis Are Bears? Not So Fast! 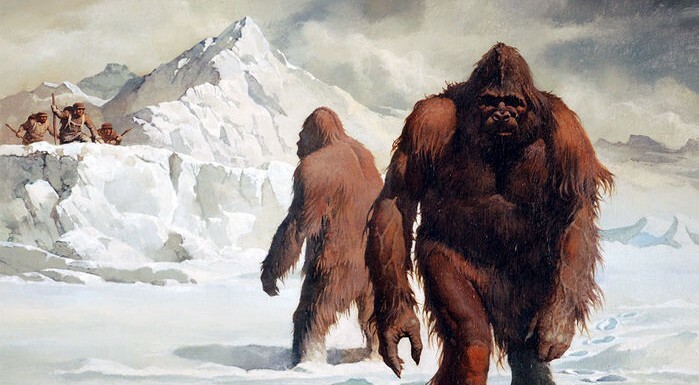 For decades, cryptozoologists have pointed to there being three kinds of Yetis – a small Yeti, a human-sized Yeti, and a quite large bear-like Yeti. Explorer Tom Slick investigated these three types in the Himalayas in the 1950s. Bernard Heuvelmans and Ivan T. Sanderson in the late 1950s and 1960s, as well as modern researchers this century, including myself, Mark A. Hall, and Patrick Huyghe, called this variety the Dzu-Teh. 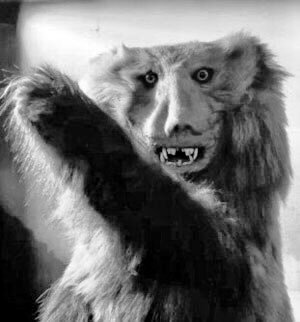 The recent Bryan Sykes’ study confirmed there were bear artifacts behind some of the so-called Yeti samples he studied and which were highlighted by Icon Films. Should we be surprised that “bear” results are to be found if selections of those samples are retested? Two of the samples (tooth and fur) from Messner’s so-called Nazi “Yeti” (pictured) were understood to be implanted teeth (Canis) and non-primate fur (Ursidae), already by investigators. Two other samples were misidentified by Sykes as at first ancient polar bear, then hybrid brown-polar bear, and brown bear, nevertheless, were bear. Icon Films produced several films that funded Sykes to do DNA tests on dozens of samples, and via information from Sykes’ book and in Icon’s documentaries (also the “Bigfoot” one), bear results were detailed. If only “nine” samples were sent along to Dr. Lindqvist, why only those? In the Sykes study there was an extensive tracking and detailing of the samples collected. Sykes’ funding came from Icon Films. They then took possession of scores of samples. Dr. Lindqvist’s nine samples for Yeti come via Icon without the detailed tracking, apparently, and from Messner (who has also been associated with Icon). Who funded Dr Lindqvist’s study, partially? Icon Films. Icon apparently did not give a detailed rendering of the date and location of collection of the nine “Yeti” samples, as evidenced in the paper. If there is such a list somewhere, I’ve not seen it. Of course, with this new study, you’ll have to read a bit deeper to discover if the samples were biased and if the conclusions were going to be about bears. Some cryptozoologists have been asked their opinions to lend some balance. Jonathan Downes, director of the Centre for Fortean Zoology, said that while he applauded the scientific work and agreed that many samples are obviously from bears, he believes the mystery is not yet solved. “I think there is still a possibility that there are unknown species of higher primate which are still awaiting discovery in what used to be Soviet central Asia,” he said. The most compelling evidence of a relict hominoid species in the Himalaya remains the footprints documented by the McNeely-Cronin Expedition to the Arun Valley in 1972. [The Arun: A Natural History of the World’s Deepest Valley (Boston: Houghton Mifflin Company, 1979); “The Yeti – Not a Snowman,” in Oryx (1973, 12: 65-73).] The Icon Film producers were not interested in considering this evidence during my interview. Unraveling the bear and hominoid threads remains the challenge before serious investigators. But to ignore the evidence suggesting a possible hominoid, while making dismissive statements based on questionable “yeti” evidence readily attributable to bears is hardly an objective approach. (2) Jeff Meldrum, CNET, “DNA tests reveal the Yeti’s not-so-abominable identity“. He added that cryptozoologists have always considered [that one of the cryptids called - LC] the yeti could be a species of bear, but says there’s evidence suggesting the existence of a smaller creature and even one the size of a human. Coleman claimed that DNA tests on what may be a small-sized yeti have been inconclusive. He also said proving the yeti isn’t just a bear puts researchers like him in a catch-22 situation. 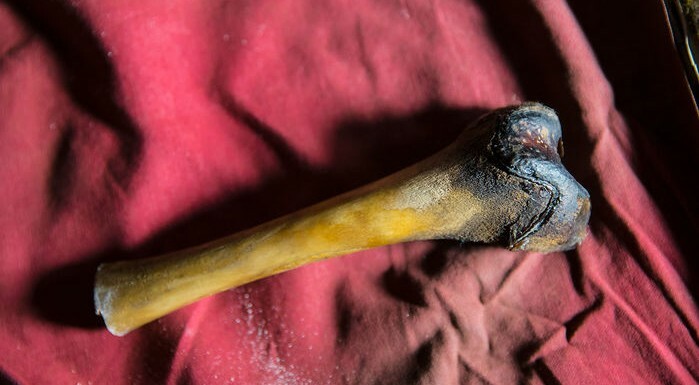 “Until we discover a yeti, we’ll never have a sample of yeti DNA, so the only matches that come up will be from samples of bear,” he told HuffPost. All they have proven is that the samples were identifiable as bear. There is nothing conclusive in the study concerning the determination of the existence of Yeti since absence of evidence is certainly not and never will be evidence of absence. Those who have witnessed and encountered Sasquatch, Bigfoot, Yeti or the Yowie, etc. – well over 50,000 documented cases – are empirically confident of their existence. The study undertaken and published by Dr. Sykes is well known to have been a laughable sham since some of the exact same samples had already yielded Sasquatch DNA in the extensive Sasquatch Genome Project published earlier by Dr. Melba Ketchum in 2012. The genome was officially accepted by GenBank and the creature has since been named Homo sapiens cognatus. It is time for the so-called scientists in the article to wake up to the facts. Presumably their blind obstinacy would make them ideal candidates for membership in the Flat Earth Society.